A good presentation lies within the details. This is exactly what we focus on: the details. We help you cross the t’s and dot the i’s. Our experienced make-up artists, stylists and costume designers are excited to help you. Through years of experience, our experts will make sure no detail will be left untouched and everything breathes your brand. our make-up artists can give our models the look that fits your concept best. From fashion make-up to a beauty make-up, they can do it all. Also, with customized outfits tailored to your concept or outfits that set you apart, our experts will set you apart. Whether our models are working at a conference, event or party and whether it involves a brand activation or product launch, our experts will make sure everything is in line with your concept! We understand like no other that everyone has their own wishes. Therefore, we see every request as a new and exciting challenge that our make-up artists, stylists and costume-designers love to take on. They work up-close and personal with you to get a good understanding of your goals. Based on this, they let their creativity flow freely. They will go over every detail for you. For example, our make-up artists will give our models a look that fits seamlessly with your vision. They have created the ultimate natural looks but are also experienced with for example jewel make-up looks. Also, our costume designers will make the perfect custom-made outfits especially for your brand. With updates throughout the creation process, we can guarantee that you will love the outcome. So, are you looking for a classic look or do you have a more extravagant theme? Our make-up artists, stylists and costume designers are excited to help you with realizing your vision! For our experts, there is no such thing are too extreme, so don’t hold back. DESIGNERS FROM MODELS AT WORK? With almost 15 years of experience and an immense network, we are the place-to-be for beautiful smart and well trained models. Our models are hired daily as for example hospitality hosts and hostesses or promotional models by various types of clients. Our secret is our eye for details. Through make-up, styling and costumes, we will make your brand come to life even in the details. Through years of experience, our make-up artists, stylists and costume designers have developed an eye for details and know how to translate each brand or theme to the perfect look! Up to now, their opinion and input has always been highly appreciated by our clients. As such, they have been frequently invited to brainstorm during conceptual phases. 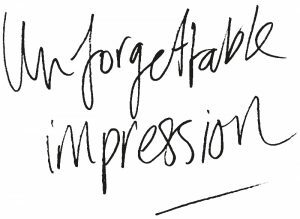 We will help you to make a difference and an unforgettable impression! Do you want to know more about using our make-up artists, stylists or costume designers? Or do you want an offer without any strings attached? Interested in a brainstorming session to discuss nice ideas? Leave us a message here and we will get in touch with you A.S.A.P. Feel free to call us at 020-24458187 or drop by for a cup of coffee or a nice glass of wine at Keizersgracht 139 – sous in Amsterdam.